I’ve made no secret of my bold plan to try to indoctrinate enthuse nurses and midwives re professional use of social media, especially Twitter. This blog post is primarily for the benefit of Twitter newbies, especially health professionals dipping their toes into professional use of social media. I’ll post a link to this page most Fridays too as an explanatory note about my OTT #FF use. 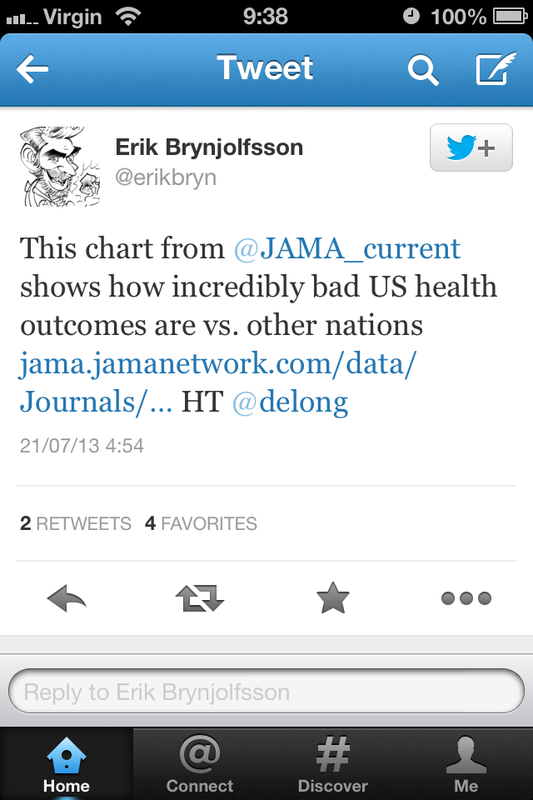 Experienced Twitter campaigners probably won’t be at all interested in this blog post (quick! jump away now! watch this funky short video instead! ), but those unaccustomed to Twitterisms may find it helpful to have info and context readily available in the same stream where the #FF hashtag is being used. #FF = #FollowFriday = Follow Friday (did you think it was something rude? shame on you and your dirty mind!). Use the #FF hashtag to recommend a Twitter account/person to others. Why bother? It’s a good way to show appreciation, to build the connectivity of your networks, and it’s part of the “Share. Enjoy. Be generous.” Twitter ethic I’ve mentioned previously. Does #FF work to promote more followers? As far as I can tell, only modestly. I’m pretty sure Harry only gained two new followers when I recommended him with a #FF. That’s better than nothing, but the ROI is limited. All the links above are live – you could do worse than follow these people on Twitter, but I don’t know that many people will be inspired to just go ahead and do so because of a list of names. I reckon one Tweet per #FF with a brief introduction is much better. However, does #FF actually work to promote more followers? As far as I can tell, only modestly. 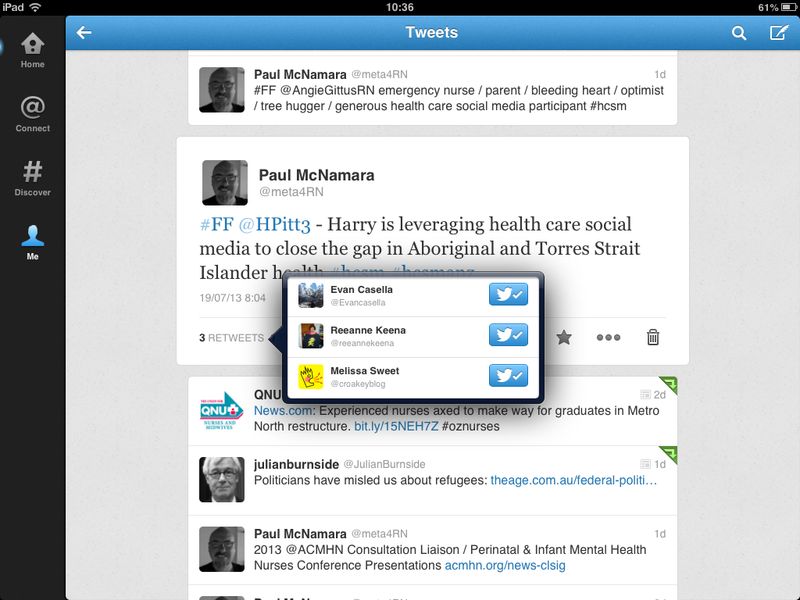 I’m pretty sure Harry Pitt (see screenshot) only gained two new followers when I recommended him with a #FF. That’s better than nothing, but it’s worthwhile being realistic, and knowing that the impact of the #FF hashtag is limited. OTT = Over The Top = my use of #FF. On reflection, I think I’ve been OTT with the #FF thing. On Twitter, as in real life, too much chatter just becomes white noise: it gets heard, but doesn’t really get listened to. So, with the goal of not diluting the potential potency of recommendations, I will keep my use of #FF down to about half-a-dozen times per Friday from now on. Less [Twitter stream clutter] is [probably] more [effective]. With all those #FF tweets, do you ever work on Fridays? A tweet every hour or two is less intrusive and irritating than a rush of five tweets in five minutes. 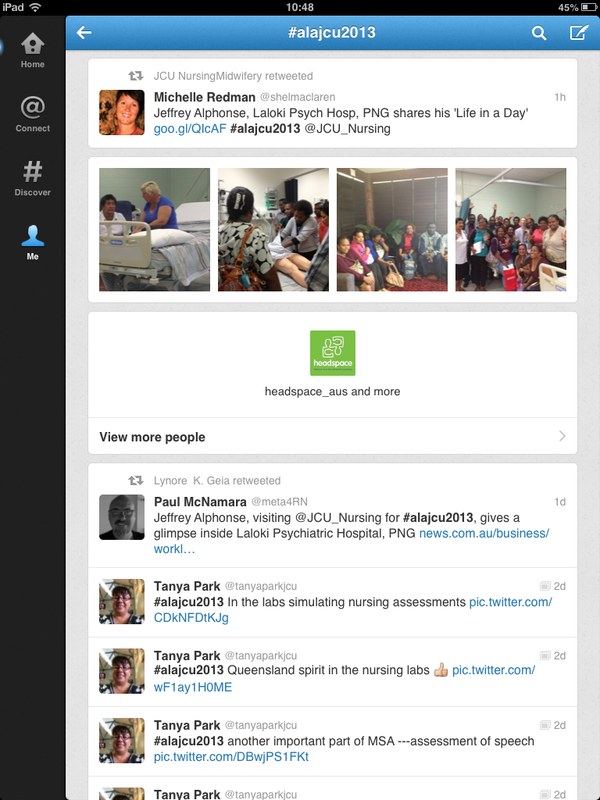 Twitter has connected me with other health professionals in every Australian state/territory, and in a heap of other countries all around the world. That means lots of different timezones. By spreading out the #FF tweets there is a better chance of broad introductions rather than narrow, place-specific recommendations. 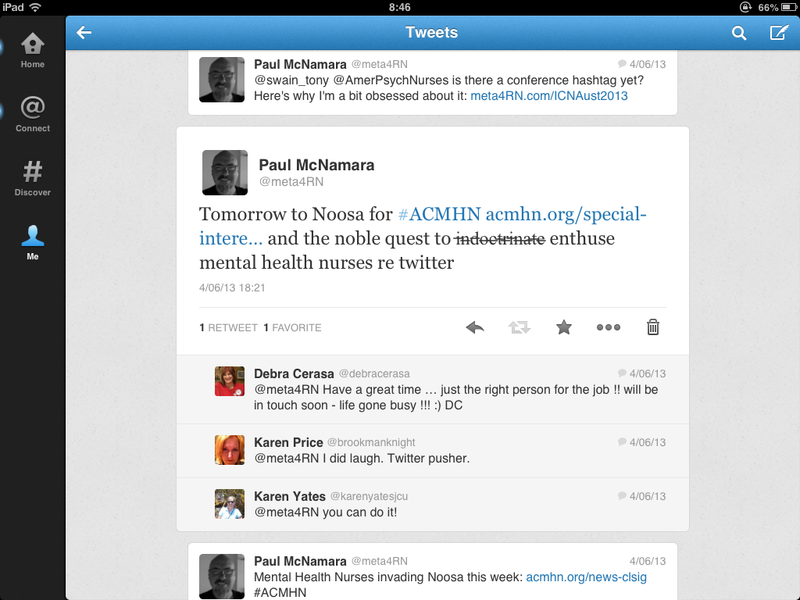 I’m experimenting with social media, Twitter especially, to test its usefulness for healthcare communication. 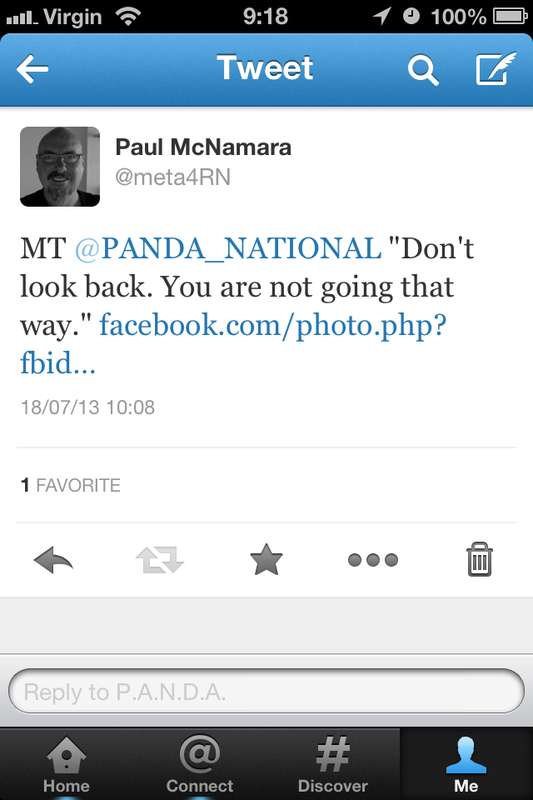 Part of the experiment is to build the profile of the meta4RN portfolio. For this I’m treating meta4RN a bit like a brand; #FF not only recommends others, but also keeps the meta4RN portfolio visible. 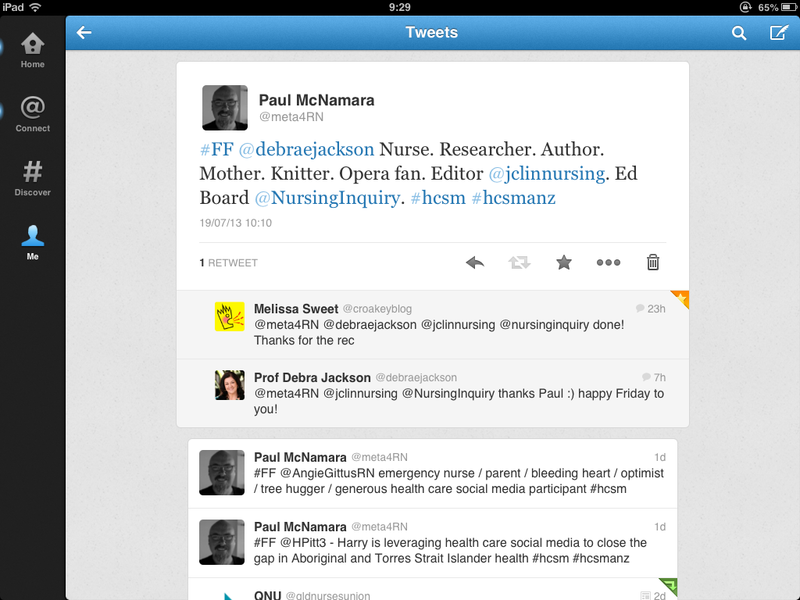 At time of writing (July 2013), I’m planning to make #FF a meta4RN staple activity to promote and link healthcare professionals on Twitter. Scheduling tweets is pretty easy using tools such as HootSuite and TweetDeck. The only real risk with scheduling tweets is when a major event happens, say a terrorist attack or natural disaster. Under those circumstances Twitter erupts with activity specific to that event, and scheduled tweets can seem incongruent/out-of-touch or, in a worse-case scenario, insensitive and stupid. I’ll try to keep an eye out for this but fully expect it to happen from time-to-time; hopefully because #FF tweets are pretty benign it won’t be too much of a problem*. RT = ReTweet = a way to share information that somebody else has already shared. If you’re familiar with Facebook, a RT is like hitting a “Like” button on steroids. Most retweets are not preceded by RT now, because the Twitter “retweet” button has done away with ye olde RT. It still pops-up though, especially if people want to add a comment. MT = ModifiedTweet = a way to share information that somebody else has already shared, but edit or tweak the message a little. By making it MT rather than RT, you’re making it clear that it’s not a direct quote of the original. 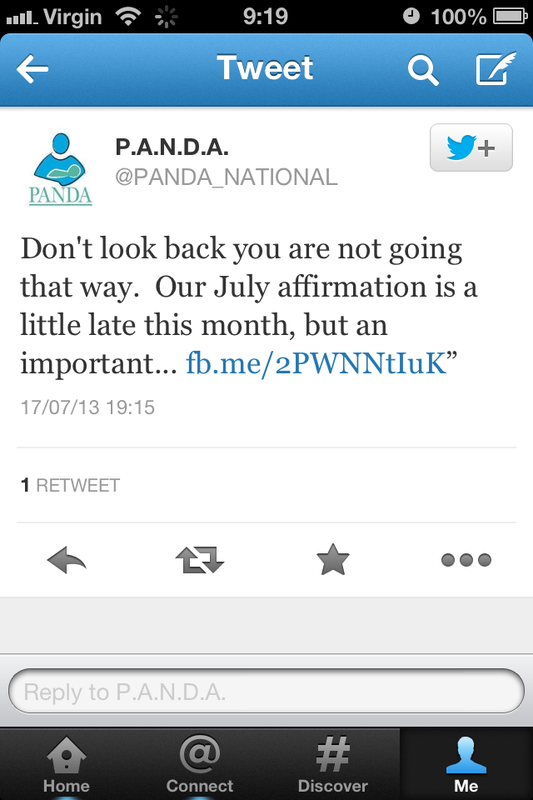 See the screenshots of my MT of @PANDA_NATIONAL for an example. HT = Hat-Tip or Heard-Through = a way to acknowledge the source of your info without necessarily quoting them. What about other abbreviations like LMAO, ROI, TYVM, PMSL? What is the #hashtag thing about? People use the hashtag symbol # before a relevant keyword or phrase (no spaces) in their Tweet to categorize those Tweets and help them show more easily in Twitter Search. For Twitter newbies, don’t get too freaked by the hashtag thing. You can ignore hashtags and still enjoy Twitter. However, when you find your feet you’ll find them very useful – I’ve previously written about hashtags being used for health conferences, health promotion and education. There are plenty of other hashtag applications too. Don’t be a silent egg. 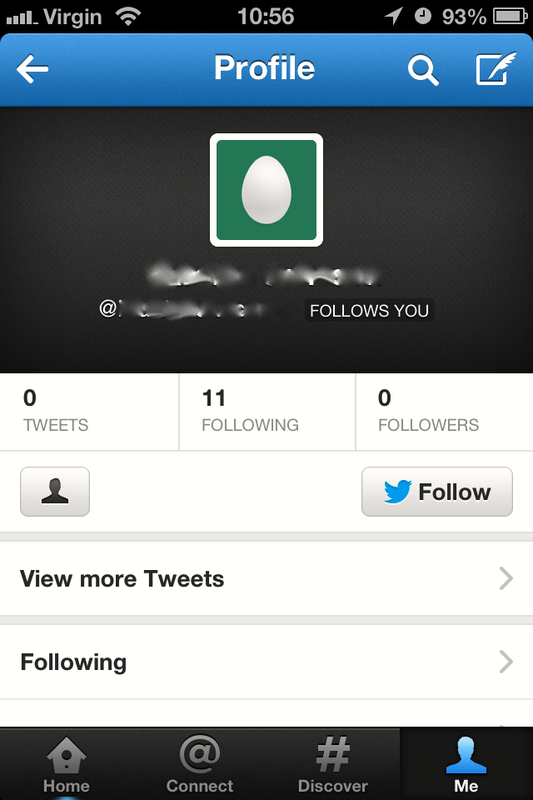 That is, add a profile pic, a bit of a bio and introduce yourself to Twitter. Getting started on Twitter is usually a slow learning curve anyway, but not sharing anything at all will make it excruciatingly dull. If required, there’s a bit more info that may be useful for healthcare professionals new to Twitter via my previous blog post Social Media for Nurses: my ten step, slightly-ranty, version. As always, your comments/feedback is welcome. * Please consider this an apology in advance. I know for certain that an important/tragic event will happen on a Friday. Consequently, there is a pretty good chance that my #FF scheduled tweets will show up in the Twitter stream. This may seem incongruous and callously unaware at the time, but in reality it’s just a product of not being able to continuously monitor Twitter. I hope no offence is taken; none is intended. 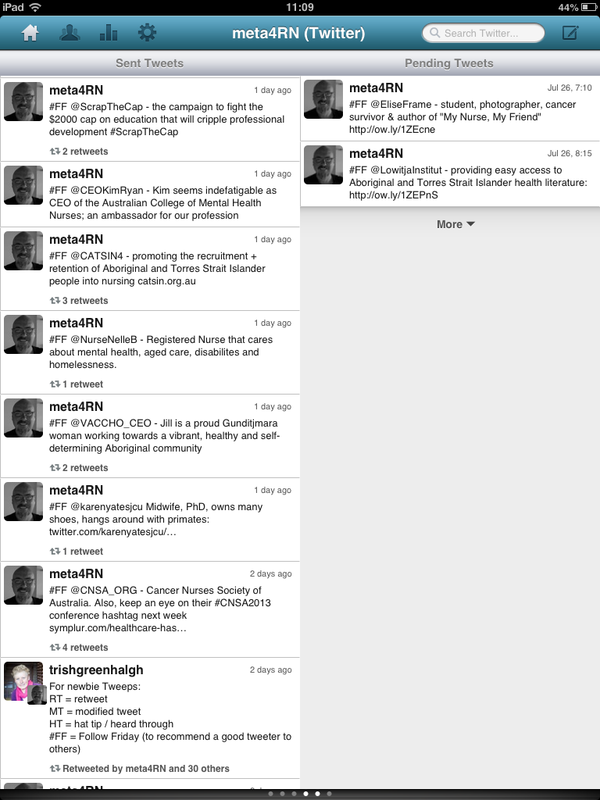 This entry was posted in Blog and tagged #HCSMANZ, #SoMe (Social Media), communication, geeky stuff, jargon, Twitter on 21 July 2013 by Paul McNamara.